The future standard for hazmat professionals will be competency-based training (CBT). Competency is a set of behaviors built on the components of knowledge, skills, attitudes. Competence is a personal ability in the context of the workplace setting. Competency-based training refers to a system whereby tasks or competencies are identified to define the content of training. Competency-Based Training may also be known as “Performance-Based Training”, “Criterion-Referenced Training”, “Mastery Learning”, or “Instructional Systems Design”. The steps in competency-based training are: (1) competency identification, (2) determination of competency components and performance levels, (3) competency evaluation, and (4) overall assessment of the process. See Introduction and Definitions (opens in .PDF) for a basic overview of CBT. Hazmat shippers and carriers should be aware of recent DOT PHMSA updates. Relying solely on supplier’s/shipper’s paperwork can lead to problems. Train employees to recognize noncompliant inbound shipments, establish processes for correcting deficiencies, and hold suppliers/shippers accountable. Customize training tailored to employee responsibilities and the products a company ships can be presented in e-learning platforms for more efficient employee training and assessments. There is a Certified Dangerous Goods Professional (CDGP) credential offered by the Institute of Hazardous Materials Management (IHMM). Before inspections happen—Designate staff to interact with inspectors, conduct internal compliance assessments and create a centralized file with copies of commonly requested documents. During an inspection—Ask questions, take notes, invite designated employees to an exit briefing with the inspector, and read the exit briefing before you sign it. After the inspection—Determine broader implications of any violations, make sure problems aren’t repeated, and document your improvements. Also, draft a response to any enforcement action. Stay informed. Automated compliance processes are the best way to make inspections rarer and more manageable. “The US Department of Transportation doesn’t always distinguish between those who intentionally flout hazmat regulations and those who commit violations without the knowledge that they’ve done anything wrong.” Jerry Cox, Esq. and author of Transportation of Hazardous Materials 2016. Day Three of DGS11 (today) deals with lithium battery consignments and a general Q&A session. In a nutshell, if you’re dealing with hazmat (and who isn’t, even inadvertently? ), know what you are doing, make sure your employees know what they are doing . . . and be prepared to prove it. 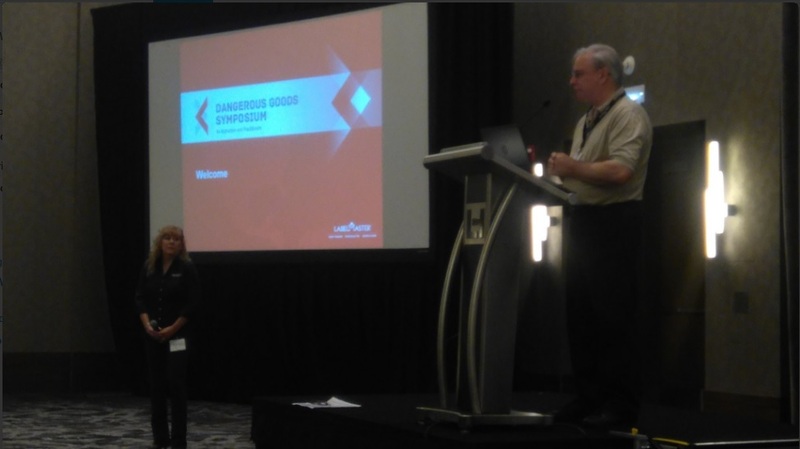 Thank you for reading this and much thanks to Labelmaster and all the presenters in the 11th Annual Dangerous Goods Symposium.